The reports published on Triton so far give no hint on how the attack was started. With Occam’s razor in mind I concluded in part II of this post series that it is very likely, that the attacker compromised the Engineering Service Providers (ESP) network and the systems used for developing the SIS software. Since the next software update is sure to come, it is only a matter of time until the SIS installation in the production network gets compromised. In this part I will talk about how to prevent and protect against such attacks. To protect against such kind of attacks data integrity must be ensured across the entire supply chain. Build: The ESP must make sure that the project data and software cannot be compromised in his facilities during software design and build. Transfer: The ESP must secure the data against manipulation during transport. Validate: After handover, the operator must check that the software and project data fulfil only the intended functions, before the SIS or DCS is updated. This must be governed by a Standard Operating Procedures (SOP) with formal approvals. Install: The operator must follow a SOP for secure update of SIS and DCS software. 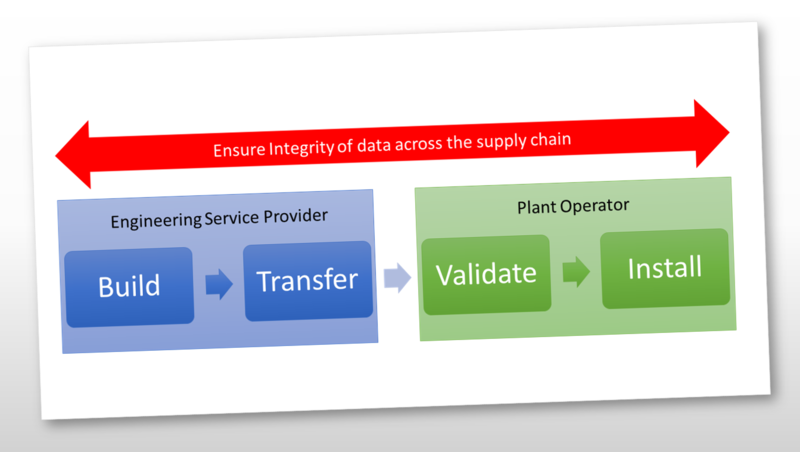 In the following section I will give some best practice to achieve data integrity across the supply chain. Anti-malware solutions are not listed because they are industry standard. Nevertheless, it is important to note that in Triton like cases pattern based anti-malware solutions will not prevent or protect against the attack. Pattern based anti-malware solutions protect only against malware “in the wild”. That’s not the case here, thus we have to apply other means to ensure integrity. Perform all project work in an isolated Development Network (D-NET) with a Development DMZ (D-DMZ). Control remote access to the D-DMZ through a user proxy to allow access for authorized staff only. Two Factor Authentication is mandatory for access to the D-DMZ. For remote user access to the D-NET use a jump station in the D-DMZ. Terminate all connections from the Office Network to the D-NET in the D-DMZ. Terminate all connections from the D-NET in the D-DMZ. If an SIS or DCS is operated in the D-NET, it should be placed in an isolated in a network zone (D-SIS) in the D-NET. Allow only incoming connections from the engineering station to the SIS or DCS. Terminate all outgoing connections from the D-SIS in the D-NET. For data exchange with the Office network allow only outgoing connections from the D-DMZ to dedicated systems/ports in the Office network. Don’t use the SMB protocol for exchange of data between the office network and the D-DMZ and D-NET. Implement Network Access Control (NAC) in the D-DMZ and D-NET to block connections of untrusted devices. Never connect mobile workstations used in the D-NET or D-DMZ to other networks and vice versa. Once such a workstation was connected to a network outside the D-NET or D-DMZ it is potentially compromised. Block all USB disk devices in the D-NET. Block all internet access and e-mail in the D-DMZ and D-NET. Lock down all workstations and servers in the D-NET and D-DMZ. Perform regular integrity checks on all systems in the D-NET and D-DMZ. Set up software version control for all development work. If contractually possible, handover only sources, makefiles and checksums to the operator. Secure network transfer is the method of choice. Bundle all sources in an encrypted archive. Send the encryption key in a secure e-mail to the operator. If transfer by USB devices is required use only USB devices with AES hardware encryption and key pad. Run a secure before the new software is copied. Extract the software to a trusted development system in an isolated network zone of the operators network. Validate the checksums of the sources and makefiles against the supplied checksum details. Install the software on a test system and verify that only the intended functions are implemented. Use a secure transfer method to move the new software and project data to the SIS or DCS network. Install the software with regards to the corresponding SOP. This entry was posted in Opinion, Survival tips and tagged Hatman, Integrity loss, prevention strategy, Protection, Supply chain, Trisis, Triton on March 18, 2018 by Klaus Jochem.